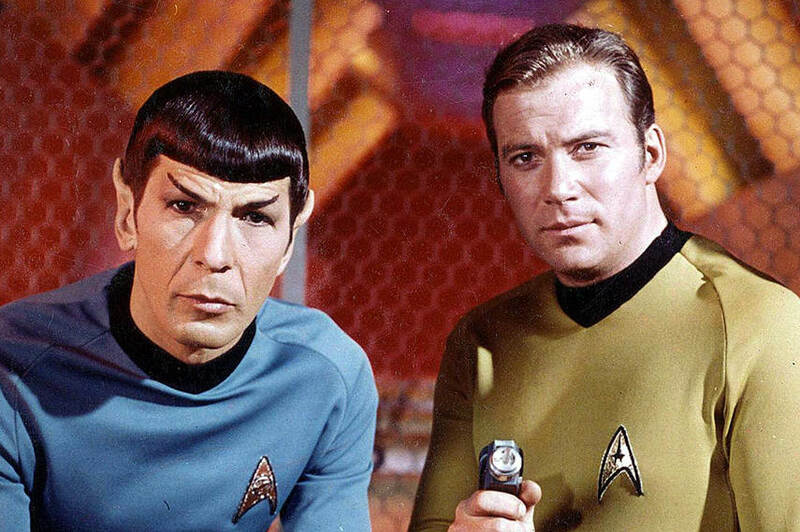 Many Star Trek fans were broken hearted when Leonard Nimoy passed away earlier this year. After all, he played one of the most memorable characters in the legendary sci-fi series of all times which shaped the identity of many individuals worldwide. Not long after his death many artistic homages to his life and work started to appear. William Shatner, his long-time colleague, and friend started his own project in August, and the final product – a mosaic made of fan selfies was just revealed. 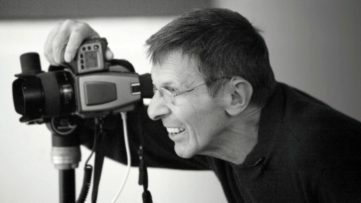 With the twitter followers on board, Captain Kirk didn’t have many difficulties in collecting more than 6,000 photographs used in the making of the signature Live Long and Prosper salute of Mr. Spock. 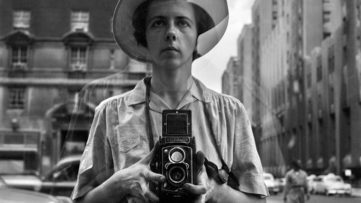 As the culture of selfies is expanding beyond the Internet, coming to our everyday lives in different forms, we are forced to ask the question if they have any other purpose than self-promotion of narcissistic individuals. As William Shatner shows, they can definitely be used for other, more humane and charitable objectives. His recent initiative gathered more than 6,000 people, Shatner’s followers on Twitter and fans of Star Trek series in a project which commemorates the life of actor, director and photographer, recognized worldwide for his impersonation of Mr. Spock. Throughout the years he became inseparable from the character in the eyes of the admirers and even played with this notion in: I am Spock and I am not Spock autobiographies. When William Shatner released his request, nobody knew what the final product will be. 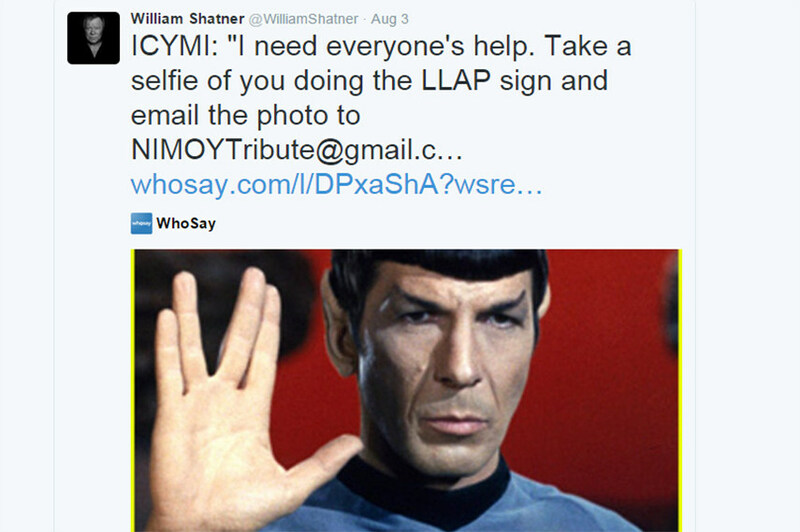 With no questions asked fans and followers submitted their photographs, making the Long Live and Prosper Vulcan salutes in support of the initiative. People who participated must have been exhilarated and surprised to find out that their selfies were used for the creation of one of the most colorful and liveliest homages to their beloved Mr. Spock. 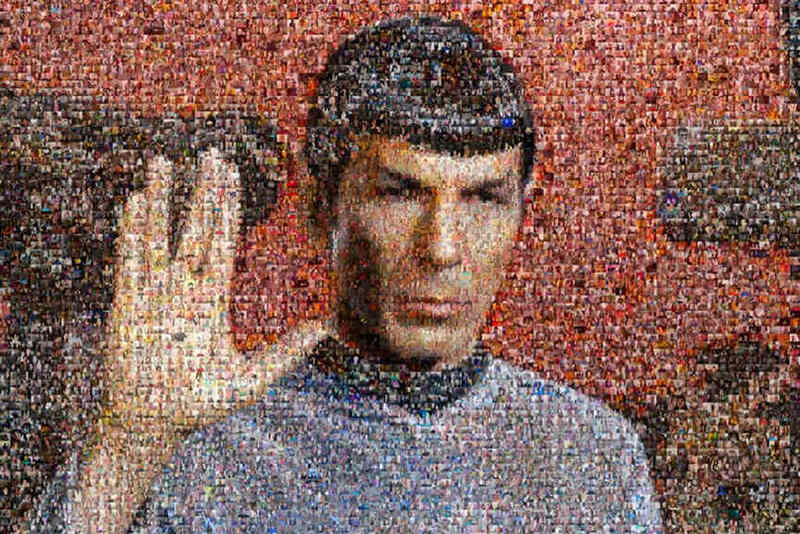 This celebrity art mosaic brings the pixelated image of Leonard Nimoy in of one of the most recognizable salutes in the history of popular culture. Other than paying respect to their favorite Star Trek character and the actor behind him, the fans also participated in a charity project Gishwesh, the “global scavenger hunt” which funds the non-profit Random Acts. 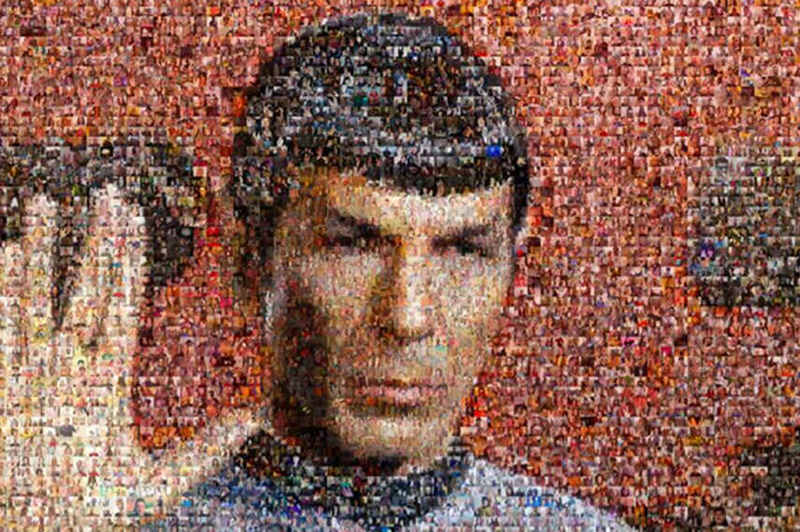 Mr. Spock mosaic was also committed by William Shatner to the Guinness Book of World Records but didn’t imply for which category. This recent artwork of William Shatner is one of the most stunning and emotional ways of saying goodbye to his dear friend and beloved actor Leonard Nimoy, and fandom’s way of celebrating one of the greatest and most lovable characters in the TV history. Is your selfie among those used for the creation of the mosaic? Share your comments on our Facebook page? For more news create your profile via My Widewalls for FREE! And in the meantime Live Long and Prosper! All images used for illustrative purposes.